It just so happens that I don’t really like resolutions. I’m not a great goal-setter, and I never have been. I’ve done it, hundreds of times, but usually, short-term goals are my most successful, and I have to have someone else’s input in selecting them, because I truly am that bad at it. Something that will push you, but something within your reach. Something that’s measurable, but something that’s important to you. LOSE FIVE POUNDS! OKAY, FINE! So naturally, this January, I didn’t put much thought at all into a resolution. For the last two years, I’ve chosen a word to try to embody. It’s not a goal or a resolution, and that’s why I liked it. I’ve had “embrace (it)” and “pray (first)”. In both cases, I inadvertently abandoned the words. I kept them in my mind and heart for a few months, and yes, I kept praying last year, but I didn’t focus on those two words in any certain way after the first few months of the year. This year, I didn’t think of anything. I didn’t search the depths of my brain for a word I liked well enough to hang on to it as a “theme” for a while. I’m busy, I thought. I don’t need to add another ridiculous thing to do to my regimen. I’m exhausted. My mind is full of the three tiny children who need me that I frequently have very little left for my own self-care. It’s not a bad thing, it’s just the season that I’m in. After that positive experience, I received from my worship pastor a challenge to make everything we said from the microphone (transitions, prayers, etc) to be Scripture. 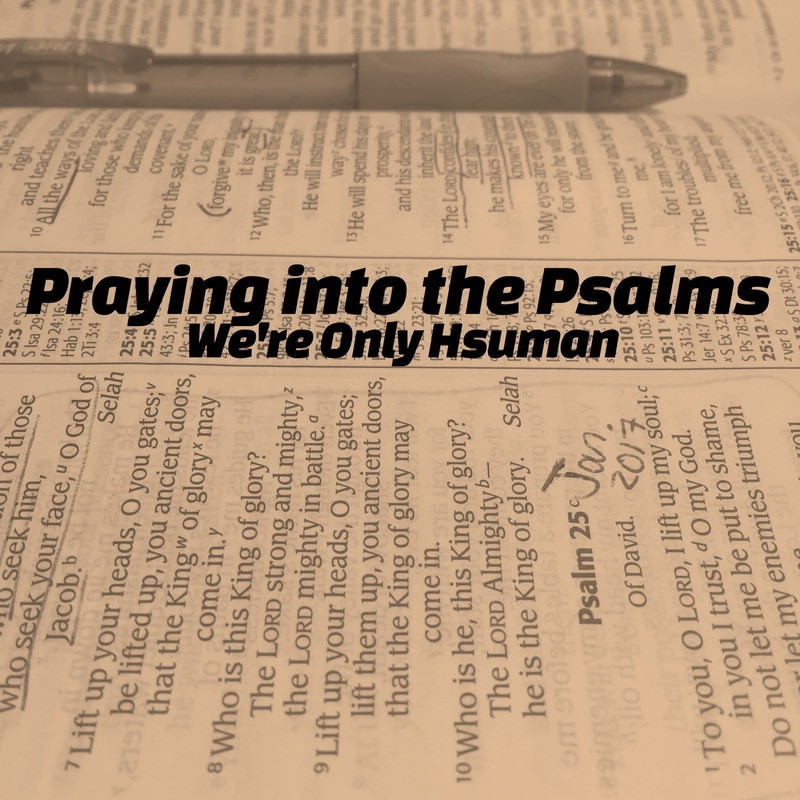 It just so happens that many songs (and therefore transitions) are based on Psalms. So, second point to God for making me think harder about those Psalms. My pastor also had a suggestion of an app that helps you memorize Scripture (bonus points, Dylan!) so I immediately downloaded it, and I already love it. So now, I’ve had nudges from all sides suggesting that get to work on the Psalms. So now, I’m going through them (in random order, I admit), underlining, taking notes, praying over them, praying the words, thinking of them in the night, and it’s only been a couple of weeks since this all came to me. I know that it likely won’t take me a year, but I’m hoping to really be able to stick with it. It might help that it’s permeating several areas of my life. That’s the way to really accomplish something – choose a thing that will benefit more than one area of your life! But in all seriousness… I truly believe that this is a direction into which the Lord is leading me. I’m excited to see what He has for me, hidden in his plentiful and Psalms, that I will discover as I study and pray. Previous PostThings Toddlers SayNext PostIt isn’t really spring. What is the name of the app? Sounds like it would be very helpful! It’s called Verses… the app is free, but the translation is kjv unless you buy another (which I of course did, ESV is 5.99 I think). I really like it!